Last night I spoke out against the Chancellor’s latest budget. During my speech I highlighted how the Government has yet again failed to introduce measures to help people who are struggling to cope with the rising cost of living. I took this opportunity to once again highlight the fact that the Government have brought forward no strategies to invest in the north-east of England. After nearly four years of this Lib-Dem/Tory Government, hard-working families in the North East are on average £1,600 a year worse off and not feeling any economic recovery at all. We need a recovery for the many, not just a few at the top and I have called for action to deal with the cost-of-living crisis. • Freeze energy bills until 2017 and reform the broken energy market. • Balance the books in the next Parliament, in a fairer way including reversing the £3 billion tax cut for people earning over £150,000. There are some things to be welcomed in the Budget, such as the increase in the personal tax allowance, the rise in the tax-free ISA allowance and the Government’s decision to expand the tax on residential properties worth more than £2 million to those worth more than £500,000. Overall, however, the Budget delivers very little for people in my constituency. “This is a Budget for the people who already have, not for the people who need to benefit most from the return to growth. It is a lost opportunity for the 13 million people…who need active intervention to tackle the structural barriers that keep them in poverty. I agree with her and would emphasise that neither the Chancellor nor any Government Member today has shown any recognition of the need to rebalance growth in our economy. Significantly, there is a real need to reduce regional inequalities. Many people in my constituency simply earn too little to benefit from the Chancellor’s tax cuts and can only dream of earning the £1,250 a month that can now be saved tax-free in ISAs, let alone being able to save that amount. People in the north-east and my constituency hoped that the Chancellor would offer help to do something about the fact that they experience the highest unemployment levels in England. Last month, unemployment in my constituency fell by just 17. Although I welcome that fall, the Government must do more to get people back into work. I have found the Government’s rather triumphalist approach to unemployment quite disturbing. Worryingly, in my constituency youth unemployment has risen in the past two months and more than 900,000 young people are out of work across the country. That is not something to celebrate. It is clear that tens of thousands of young people are not experiencing any recovery at all. The Government should have used last week Budget to introduce Labour’s compulsory jobs guarantee to get young people and the long-term unemployed off benefits and back to work. The compulsory jobs guarantee would be funded by a repeat of Labour’s successful tax on bank bonuses and by restricting pensions tax relief for people earning more than £150,000. We know that working people are already £1,600 worse off under the coalition Government than they were before the general election, but the situation is exacerbated in the north-east by wages that are about £50 a week less than the UK average and almost £200 a week less than wages in London. Beth Farhat, regional secretary of the northern TUC, has criticised the Budget for failing to tackle the living standards crisis that is the fundamental concern of workers across our region and for the Chancellor’s failure to show any real support for the living wage or fair pay. According to the TUC, north-east workers are much worse off in real terms, and that is equivalent to about 23 average weekly shops, a year’s worth of energy bills for the average household or 88 tanks of fuel. The regional secretary of the northern TUC has also questioned the quality of jobs being created in the region. Many are precarious and based on zero-hours contracts. She has also drawn attention to the fact that eight out of 10 private sector jobs that have been created have been in the south of England. The few jobs that are being created in the north-east are predominantly in low-paid sectors and leave many families on low incomes struggling to cope with the rising cost of living and increasingly reliant on payday loan companies or food banks. That is unacceptable and it is particularly worrying that the Government have brought forward no strategies to invest in the north-east of England. The regional growth fund is not strategic. It is not directed towards areas of greatest need or the parts of the north-east’s economy that are most likely to grow. We need from the Government an approach that will direct funds to the areas of greatest need. To respond to the hon. Member for City of Chester (Stephen Mosley), it is not the case that we are not championing our region, because many people in my area are highly skilled and would welcome the opportunity to work, but what they need is support from the Government for them and for industrial growth in the area. 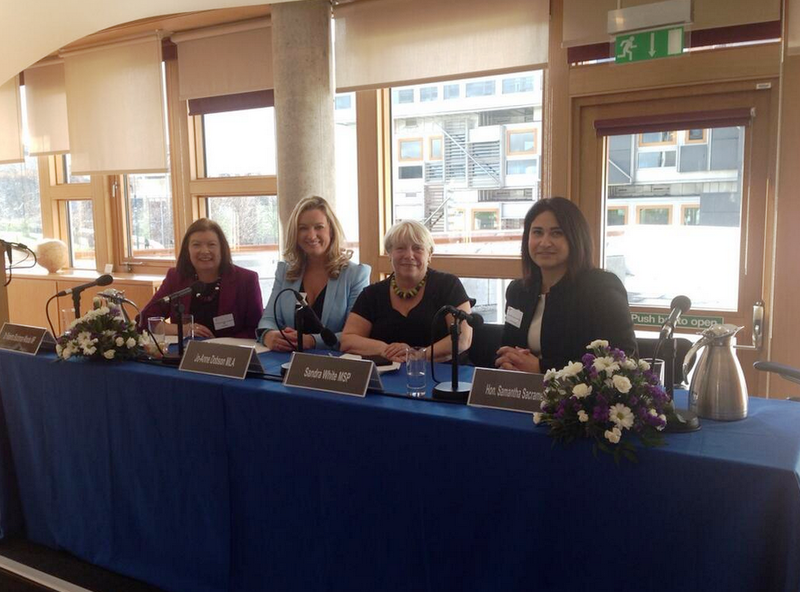 Last Weekend I was delighted to attend the inaugural conference of Commonwealth Women Parliamentarians (CWP) from the British Islands and Mediterranean Region (BIMR) of the Commonwealth Parliamentary Association in Edinburgh. The theme of the conference was Enhancing the Participation of Women in Politics. The conference provided an opportunity for women parliamentarians from across the region to discuss issues of mutual interest that fall within the remit of the newly established CWP BIMR group. Speaking at the opening session of the conference, I gave a presentation to delegates about the lack of female representation in parliaments. Currently there are 147 women in the House of Commons, just over one-fifth of all MPs (23%), and a similar proportion of Members of the House of Lords are also women. During the presentation I explored some of the special measures that other countries have introduced to help address this imbalance. One of the most effective measures that has been used to increase the number of women in parliaments has been the introduction of quotas, whether it be through legislative changes or party reforms. Labour are the only major UK party to introduce reforms targeted specifically at increasing the number of women candidates and parliamentarians, and we have done this through the introduction of All-Women Shortlists. Experience shows that All-Women Shortlists are the most effective way of delivering gender equality in our one member First-Past-The-Post electoral system. All-Women Shortlists and they have undoubtedly strengthened our Party and our Parliament. At present Labour has 86 women MPs, constituting 33.5% of the Parliamentary Labour Party, which is more than all the other parties put together (61). Currently, only 4 out of 22 cabinet posts are held by women and the Tories and Lib Dems have now conceded that their parties have a problem with gender balance. The conference sessions were very productive and gave delegates the opportunity to share their knowledge and experiences about the main barriers women face when trying to enter into politics. The parliamentarians identified ways in which we could look to overcome these obstacles and, in my role as a member of the CWP BIMR steering committee, I look forward to working with parliamentarians from across the region to increase the representation of women in parliaments and politics. This is an essential step forward that we must take as we seek to tackle some of the broader issues facing women and girls throughout the Commonwealth, such as the threat from violence, access to education and equal employment opportunities. 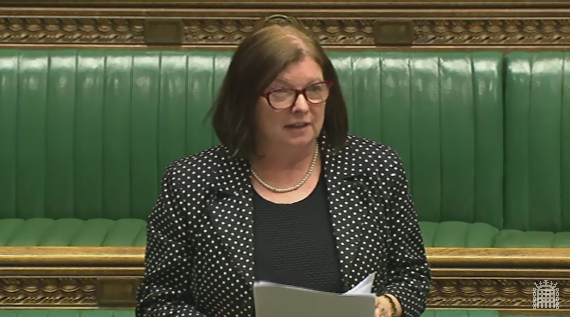 On Tuesday (4th March) I was pleased to speak in an important and very well-attended debate on the private rented sector in the House of Commons for the Opposition. The debate centred on the Communities and Local Government Select Committee’s report on the private rented sector and the Government’s limited response to the issues the report raised. There are now 4 million households in the private rented sector and nearly a third of all private rented sector households (1.3 million) are families with children. Many of those who spoke agreed that there is an urgent need to improve the regulation of the sector but the Government is failing to reform the private rented sector and its response to the Select Committee’s report is complacent. I spoke about how a Labour government would take action to protect and support tenants, raise standards, empower and enable local authorities and simply guidance for landlords. Roberta Blackman-Woods (City of Durham): I begin by congratulating my hon. Friend the Member for Wythenshawe and Sale East (Mike Kane) on making an excellent maiden speech, and I can see he is going to be a real champion for his area. I, too, remember campaigning for him, and not only in the rain, but in the wind and rain, and it was very much worth it to have him here. I am sure his warm and moving comments about his predecessor are greatly appreciated on both sides of the House. We have had a very well-informed debate, and I congratulate my hon. Friend the Member for Sheffield South East (Mr Betts) and his Select Committee on producing such an excellent report and on highlighting the key issues relating to the private rented sector. It is a pity that the Government’s response to the Committee’s report did not rise to meet the sensible challenges it set out. Indeed it is still a mystery to me why one of the first actions of this Government when coming to office was to put an end to the planned regulation of the sector of my right hon. Friend the Member for Wentworth and Dearne (John Healey). As a result, four years on, all we have is a consultation and we have lost a valuable opportunity to identify and address key issues facing the sector. Both the Government’s response to the Committee’s report and the subsequent consultation paper on property conditions in the private rented sector show huge complacency. Yes, the Government are consulting in some areas, but they are not addressing the main issues that the Select Committee report highlights, such as affordability, poor standards in some cases, lack of security of tenure, lack of regulation for letting agents, illegal evictions and lack of protection for the tenant. It is important that they do address these issues, however, because, as lots of Members have said today, increasing numbers of people now rely on the private rented sector for their housing. We think the figure is now about 4 million households, which is the highest ever. It is now more important than ever to address some of the long-standing and growing issues that are affecting ever more people. In its report, the Select Committee identifies as the first major issue the need for a simpler regulatory framework. There is a case to be made for consolidation of the legislation relating to the private sector, which is currently dispersed and complicated, and such action would make it simpler for tenants and landlords to understand their respective rights and responsibilities. Clarity will also make things more accessible for both tenants and landlords and may help to reduce some of the problems that arise, and consolidation would also make things easier for local authorities. What is absolutely vital, however, is that councils are able to put existing, and any subsequent, legislation and guidance in place locally in an effective way, and I am pleased that my hon. Friend the Member for Rochdale (Simon Danczuk) pointed in his speech to the importance of enabling a localist approach and of getting good local policies in place. The Committee is right to highlight the need to raise standards in the sector. Too often unscrupulous letting agents are ripping people off; people and families that are renting are subject to a lack of stability through short-term tenancies and unpredictable rent increases; and too many homes are of a poor standard. Some 33% of all privately rented homes are estimated to be non-decent with one in 10 homes in the sector suffering from damp and mould. The Committee’s report highlights the considerable concerns of many in the sector and identifies some real problems, but the report also offers potential solutions to these issues, recommending empowering local authorities to tackle problems and penalise landlords who fail to maintain the necessary standards. The report recommends that local authorities should be able to retain the money recouped to fund further work to raise standards. However, despite the report’s extensive recommendations, the Government have taken a step back and simply published what they describe as a “discussion paper” which they make clear “does not recommend any policy or legal changes” at all to address the issues that have been raised about the sector. While the Government’s consultation on standards in the sector is welcome, it comes almost four years into the Parliament and as a direct result of pressure from the Select Committee, campaigning organisations and the work of many of my colleagues on this side of the House. It does not make up for up for their failure to tackle this growing problem sooner. The same applies to the Government’s attitude towards the licensing of landlords. At the moment, local authorities do not even know how many landlords are in their area or how to contact them. We want to help local authorities identify those bad landlords whose housing is not up to scratch and who break the law. That is why we have proposed a national register of landlords, but we have been clear that our aim is to empower and enable local councils to have tools to achieve that locally. The Select Committee’s report recommends giving local authorities the flexibility to license in their local area and to require landlords to be part of a regulatory scheme. The report proposes lots of different ways of doing that, but the important point is that local authorities need the powers. We want to ensure that if a local authority knows that poor standards are a significant problem in its area, it has the proper powers to deal with them. Labour-run Newham council became the first council in the country to introduce a borough-wide mandatory licensing scheme for all landlords in June 2012, and it is seeking to prosecute 134 landlords for breaches under the initiative. Despite its success, many local authorities have told us there is too much bureaucracy and red tape in their way if they want to step in and introduce licensing schemes. Similarly, the Local Government Association believes: “Councils should have greater local discretion on the qualifying criteria and the amount of evidence provided for local licensing schemes”. Yet the Government appear insistent in continuing their lack of action on this matter, stating in their response to the Select Committee report that there are already tools available to local councils and ignoring the Select Committee’s valuable recommendations. Indeed, they are ignoring a great deal of the evidence from local authorities and others on this issue that was presented in detail to the Committee. The same is true when it comes to the issue of houses in multiple occupation. As was suggested by the former housing Minister, the hon. Member for Hertford and Stortford (Mr Prisk), this is a particularly thorny issue. The report considers HMOs in some detail, with paragraph 63 on page 26 considering article 4 directions. I know that the Committee received some evidence that article 4 directions could be used to limit the number of HMOs in a particular area, but I am not sure that article 4s are the right approach or the right tool for this purpose. Many local authorities tell us that they are a clumsy way of trying to control HMOs and that there should be an easier way for councils to regulate HMOs in their area. So we want to make it easier for local authorities to address local problems more simply and directly. Similarly, we also want to make is easier for local authorities to deal with letting agents. According to estimates, some 4,000 managing and letting agents are entirely unregulated, in that they do not even belong to voluntary bodies that encourage a responsible approach to letting and management practice. It is a peculiarity of current policy that while estate agents, who hold very little money on behalf of their clients, are regulated, letting agents, who hold significant sums on behalf of landlords and tenants, are not. Good letting agents have a worthwhile role in providing professional input and support, but too often tenants and landlords alike are ripped off by unscrupulous letting agents. We have said we will regulate letting and management agents, and bring an end to rip-off fees. The Government’s moves to require letting agents to be part of an approved redress scheme are welcome, but their action comes only after prominent campaigning by Labour and, in particular, by my colleague in the other place Baroness Hayter. We think that without her efforts the Government would not move on this issue. Another major issue identified in the Committee’s report is that of tenancies and rents. The report clearly says of the sector: “No longer can it be seen as a tenure mainly for those looking for short-term, flexible forms of housing”. We want to encourage the Government to take stronger action on introducing longer-term tenancies. My hon. Friend the Member for Stockton North (Alex Cunningham) raised a number of points related to addressing affordability and supply issues right across the country. My right hon. Friend the Member for Holborn and St Pancras (Frank Dobson) and my hon. Friend the Member for Islington North (Jeremy Corbyn) drew our attention to the particular issues of affordability and supply in London. The Select Committee did not focus in this report on supply issues, but it did in an earlier report on the financing of housing supply. 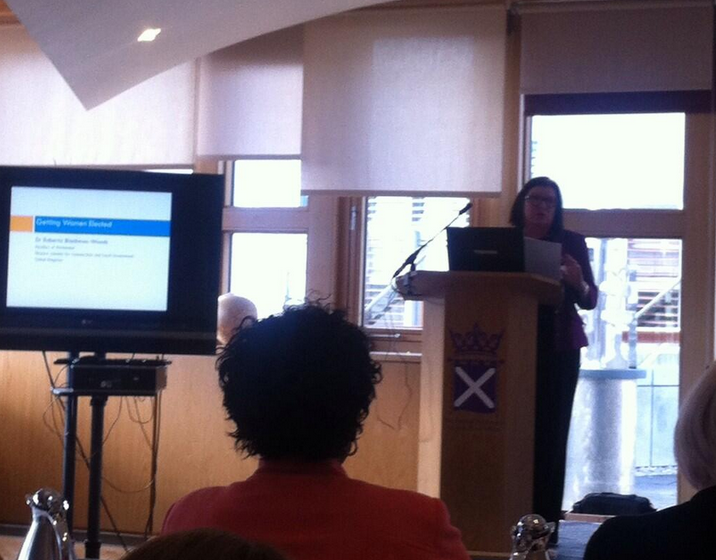 In conclusion, the Government need to look seriously at raising the supply of housing in the private rented sector. In doing so, they must ensure that we get not only additional supply but supply that is of good quality and at a reasonable rent. I look forward to hearing what the Minister has to say about how he will achieve that.